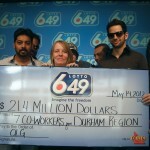 Lotto 6/49 games make millionaires on a weekly basis, but every now and then the jackpot climbs to record-breaking amounts that get everyone’s attention. 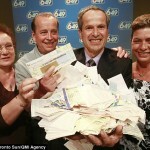 This is exactly what happened last week in Canada, where the British Columbia Lottery Corporation saw the main prize exceeding $63 million. It is a new record for the lottery and what’s even more fascinating is that the money will be evenly distributed among four ticket holders. Three of those lottery slips were purchased in the Metro Vancouver, which is something that didn’t happen before in the history of BC lottery. 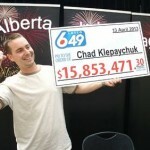 Lottery players were aware of the fact that the jackpot was to exceed $60 million, making it a record for the Lotto 6/49 game. This explains why the number of tickets purchased was higher than average and players from Metro Vancouver responded particularly well. 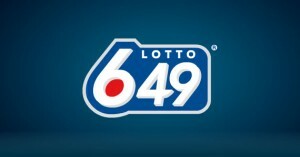 Lottery officials confirmed the fact that one of the three lottery tickets was purchased in Alberta, two in Surrey and the last one in Vancouver. 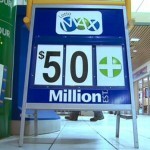 The winners are expected to step forward to claim their prize, with each of them to receive $15.8 million. Players are encouraged to use the Quick Pick feature to have their numbers randomly selected, and avoid the most common combinations. The reason is to decrease the chance of having a potential jackpot split with other players, as it is known that people prefer to choose numbers that bear a signification to them. This lottery draw serves as an excellent example, despite the fact that the numbers were 2, 10, 17, 19, 44, 47 and the bonus one was 40, hence three of them were above 31. What frequently happens is that when all the numbers are below 31, the jackpot is split among many players who chose their birthdays and the birthdays of those close to them. In this particular case it is interesting that four players chose to select three numbers above 40 and their decision proved to be an inspired one. Lottery officials are waiting for the winners to come forward and collect their prize, with the tickets to expire one year from now. The unclaimed tickets will be deemed void and the money will go to state coffers, with a part being directed towards funding good causes and charitable organizations. 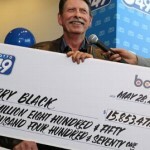 Check out the Lottery winner gets lucky twice as well.